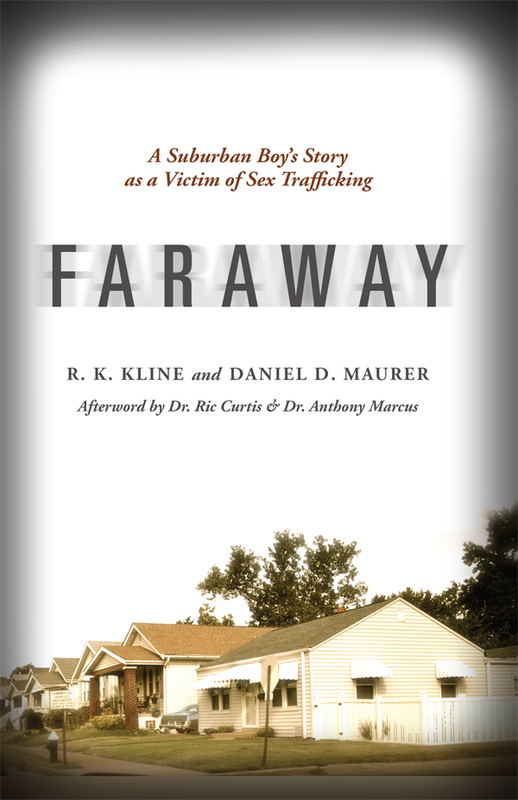 For additional information about this book, visit the website www.faraway-book.com. One man’s story of a subject so taboo, people rarely talk about it. When Kevin was fourteen years old, he was just starting to understand his orientation as a gay teen living in a suburb of St. Louis. Then he met someone who he thought was his friend. This man was no friend. Instead, he coerced Kevin into child prostitution. fficking. What he found surprised him – these friends gave him a gift that nearly forty years later has continued to shape his life. Co-written by Rev. R.K. Kline and author Daniel D. Maurer, this book is not only Kevin’s memoir, but also a tribute to friendships that can shape a person’s faith and worldview in the worst of situations. Dr. Ric Curtis and Dr. Anthony Marcus from the John Jay College of Criminal Justice in New York City offer an analysis on how underage prostitution has changed over the years and what remains the same. Haunted by his past, Kevin bravely retells his story of human trafficking as a child prostitute in urban St. Louis. Despite the tragedies endured, he discovers that the presence of a loving God was with him all along. Selling of boys continues to be a problem, despite the fact that access to them has changed through technologies such as the internet, boys today endure the same pain Kevin experienced in 1975. In a world where people still purchase human beings for sexual gratification and abuse, Kevin (the co-author of the book) tells his side of human trafficking in the mid-1970s in urban St. Louis. R. K. Kline is a rostered, ordained parish pastor in the ELCA. He recently received approval as a mission developer and plans to foster relationships with other organizations to encourage awareness of the ongoing issues of justice in the LGBTQ community. He is a huge fan of proto-punk, the West Coast punk scene, and grunge music. He enjoys traveling and marathon running, and is a proud parent of his son, Scott. For more information on Kevin, visit www.faraway-book.com. Daniel D. Maurer was an ELCA pastor for eleven years. He is now a freelance writer and author of Sobriety: A Graphic Novel. Currently, Daniel creates curricula for Sparkhouse, the ecumenical division of Augsburg Fortress, the official publishing house of the ELCA. He also produces children's science books for Amicus Publishing. He enjoys reading, writing, gardening, and playing his bagpipes. He lives with his wife and family in Saint Paul, Minnesota. For more information on Daniel, visit www.danthestoryman.com.